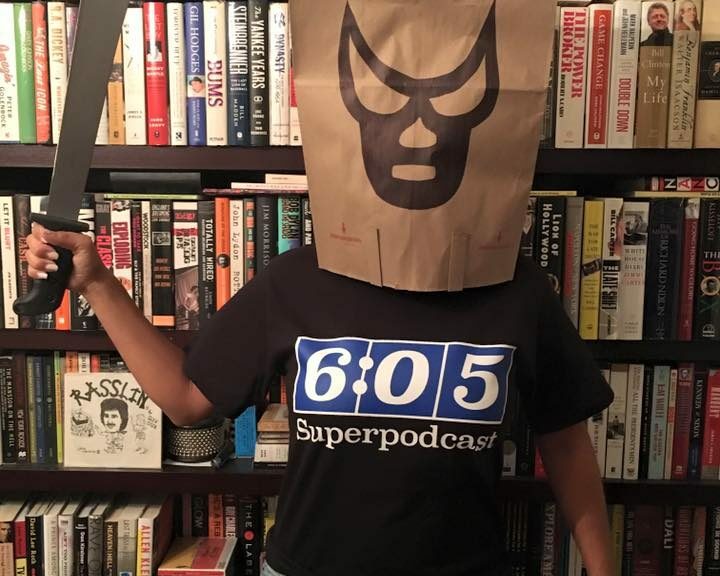 – Follow the show on Twitter at @605pod, as well as Brian at @GreatBrianLast. – Make sure to like the official Superpodcast Facebook page. – The official show wiki, a constant work in progress, is available at 6:05 Superpodcast Wiki. – Official Superpodcast merchandise is now available. – To support the show, please consider using our Amazon referral link (UK) (CA), which doesn’t cost you anything extra, as well as doing a free trial of Amazon Prime or Kindle Unlimited through us, which we still get a referral fee for even if you cancel right away. – To make ongoing monthly donations to the Superpodcast, you can go to our Patreon page. – You can also make PayPal donations to Brian. – Subscribe by adding 605feed.com to your preferred podcast app, or our iTunes link.